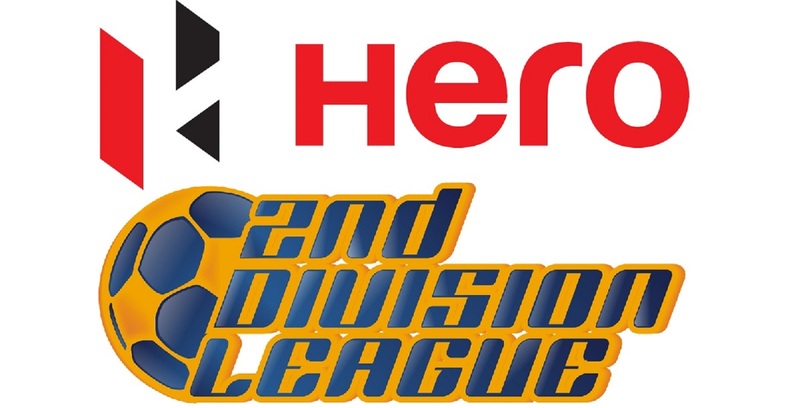 Imphal, October 26, 2018: The enticing Hero I-League fixture which failed to find a winner last season, saw Quess East Bengal (QEB) coming away with a 2-0 win against the hosts Neroca FC, in match two of the 12th Hero I-League, played at Imphal’s Khuman Lampak stadium today (October 27, 2018). The first match of the Hero I-League’s first Super Saturday, saw the home side dominate the possession but their opponents looked always in control particularly with Mexican recruit Enrique Esqueda’s early strike in the 10th minute of the match to get them on their way. 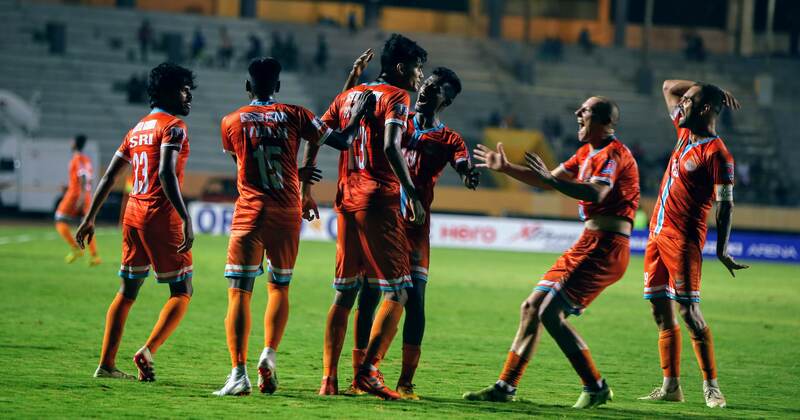 Esqueda doubled the lead through a penalty in early second-half to seal the deal for the Kolkata giants. 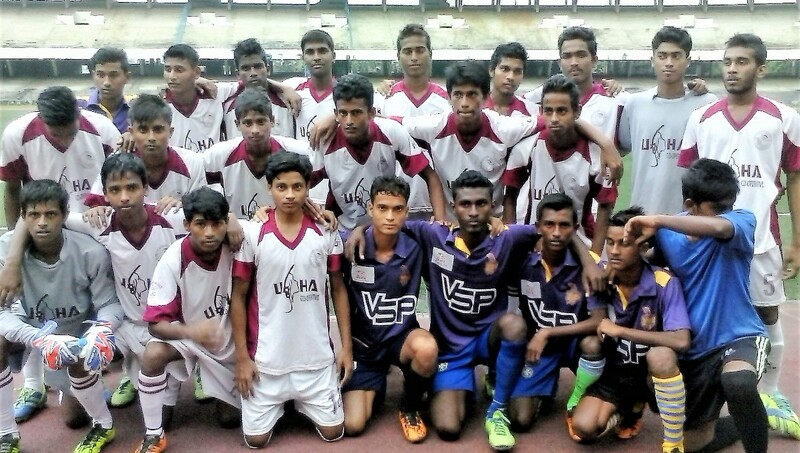 The game between the fourth-placed Kolkata side and second-placed Neroca from last year’s edition, gave enough evidence of the quality the two sides possess but the day belonged to QEB who logged full points on what would have been a satisfactory display for newly appointed Spanish coach Alejandro Menendez Garcia. 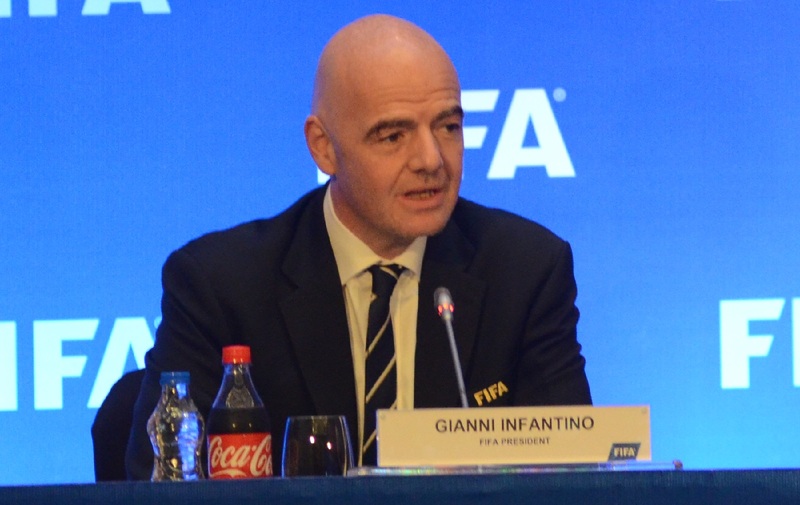 The home team incidentally also had a new Spanish coach and Manuel Fraile opted to start with a flat 4-4-2 formation as was expected. With Singham Subash Singh and Nigerian Felix Chidi up front, Japanese Katsumi Yusa was left to lead the attack from midfield against his former club. Australian Aryn Williams was supposed to play as the holding midfielder but ended up playing deeper than one thought. Italian Mauro Boerchio debuted for Neroca under the woodwork instead of the veteran Lalit Thapa. 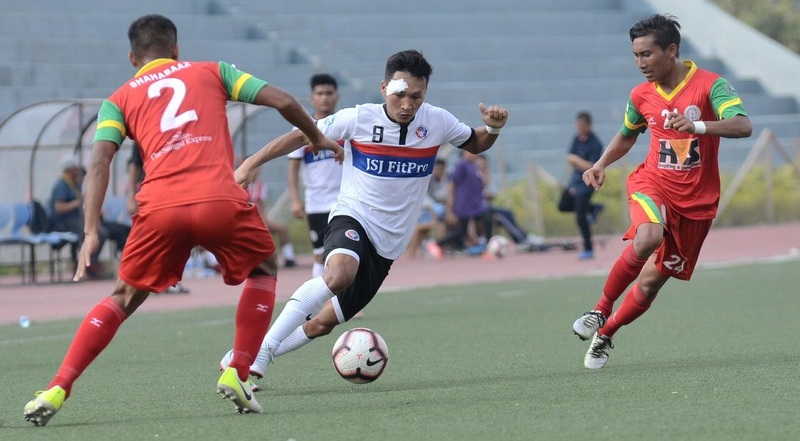 QEB had Jobby Justin and Esqueda ahead of him as target men and played attacking wingers in the two Raltes, Laldanmawia and Lalrindika to begin proceedings. Rakshit Dagar was the pick in goal and ahead of him was a solid back four represented by Spaniards Borja and Costa Rican World Cupper Jhonny Acosta with Kamalpreet and a brilliant Lalramchulova completing the lineup. Impressive under-22 youngster Yami Longwah played the role of a link man. Esqueda stamped his class on the Hero I-League early with a classy finish in the 10th minute of the match. Off a long throw from wing-back Manoj Mohammad into the box from the left flank, Aryn Williams tried to head clear but his effort only managed to find Esqueda in the middle of the box. The Mexican brought it down with his chest beautifully, turned and nailed a right footer on the bounce over an outstretched Boerchio in the Neroca goal. With the hosts down early, the otherwise quality game saw some needless frayed tempers through the game. 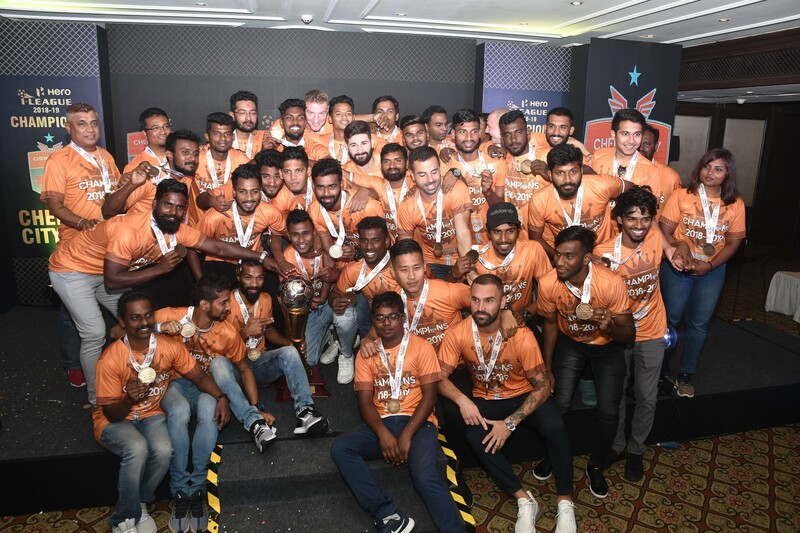 Katsumi was clearly the target of some needle and in all three players including Eduardo Ferriera, Singham Subash and Manoj got themselves booked in the three flare-ups which happened across the two halves. The home team lost Katsumi to injury just before the end of the first half to further dent their plans. Neroca had the lion’s share of possession through the game but could not create enough clear chances. Midfielder Malemngamba Meetei was guilty of missing their best chance in the 25th minute when off a wonderful ball by Katsumi Yusa out to the left flank, Singham Subash floated a cross which Rakshit Dagar in the QEB goal made heavy weather of. Malemn on the rebound with the goalkeeper down and out, essayed a feeble effort which was saved on the goal-line by Yami Longwah. QEB were clearly looking happy to sit back on the lead however, the threat of Esqueda kept rearing itself up when in the 42nd minute he found Yami in the clear inside the box with a delectable lob, but the youngster could not reap rewards. 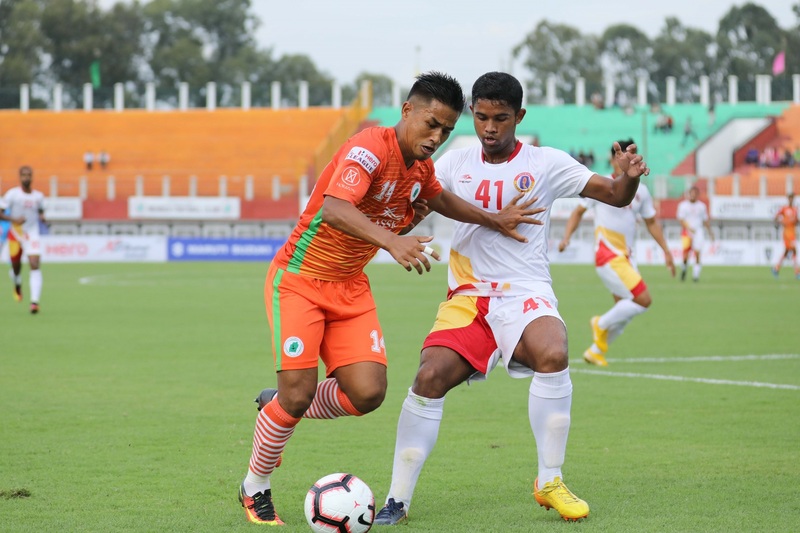 Then in the injury time, he latched on to a blooper by Rojen Meetei in the Neroca defence and struck across the goal from far beating the goalkeeper but missing the target. He was not to be denied in the 48th minute however, when Ralte was adjudged to be brought down inside the box by Denechandram Meetei. The Mexican converted with a powerful strike. Eduardo, in the 73rd minute, had Neroca’s best chance of the half, when he executed a perfect central defender’s header off a corner, but the powerful strike caught Esqueda’s leg and sailed over the bar. Coach Fraile even tried his luck with Ronald Singh who had come off the bench a couple of times last season to score but could not find the target this time. Hero of the match Esqueda was deservedly given a break in the dying minutes of injury time and QEB came off deserving winners. Sunday also has a double-header and will see defending champions Minerva Punjab FC take on Goa’s Churchill Brothers at home in a 2 PM kick-off while the first Northeast derby featuring Aizawl FC and their hosts Shillong follows at 5 PM.